The last two weeks have been very busy around work and home so I have not had any time for venturing further afield. However, I have been planning and making arrangements for next summer’s US coast to coast drive. We will pass through several states we have not been to before in addition to some more familiar ones. I have never visited Wyoming before so it was a happy coincidence to come across two books: one in a secondhand bookstore and one in the public library which have served as an introduction. 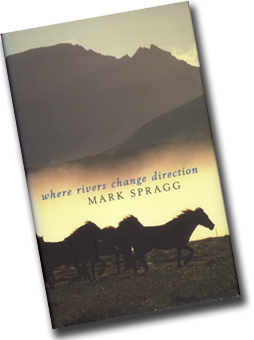 Mark Spragg’s ‘Where Rivers Change Direction’ is an account of his growing up on one of the oldest ranches in the state, situated on the Continental Divide (we last crossed this further south in 2013 on Route 66). He describes the harsh winter weather, learning about horses, his parents and being mentored by an old cowboy. He has also written novels and I must seek them out. 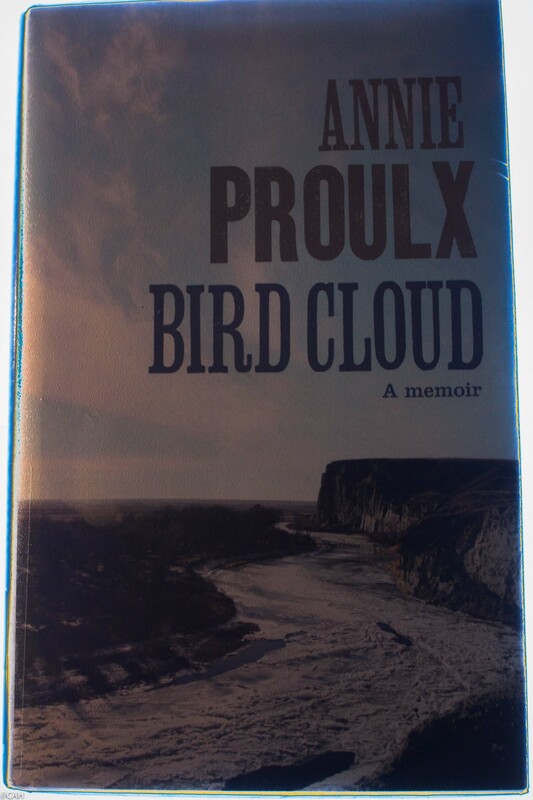 I have read some of Annie Proulx’s novels and last month found her non-fiction account of searching out and building a property in Wyoming. ‘Bird Cloud’ is enthralling. She writes about the natural history of the area she is building in, the people and the challenge of acheiving the house she wants. This is something we will be doing in a few years as we downsize a bit. Figuring out priorities (e.g library, studio) and what compromises to make will be hard and sometimes it does not sound like downsizing. This afternoon’s drive was the familiar trip to Edinburgh. I noticed that the northbound bridge near M6 Junction 18 had had a ‘D” added to the ‘Vote Pies’ directive, putting it in the past tense. In Cumbria there were very high winds, low cloud and driving rain. The recent Indian Summer and very mild autumn (I still have roses blooming) made me think that in my childhood, this would have been snow. I recall standing on snow in my Brownie uniform at the village War Memorial on Remembrance Day. 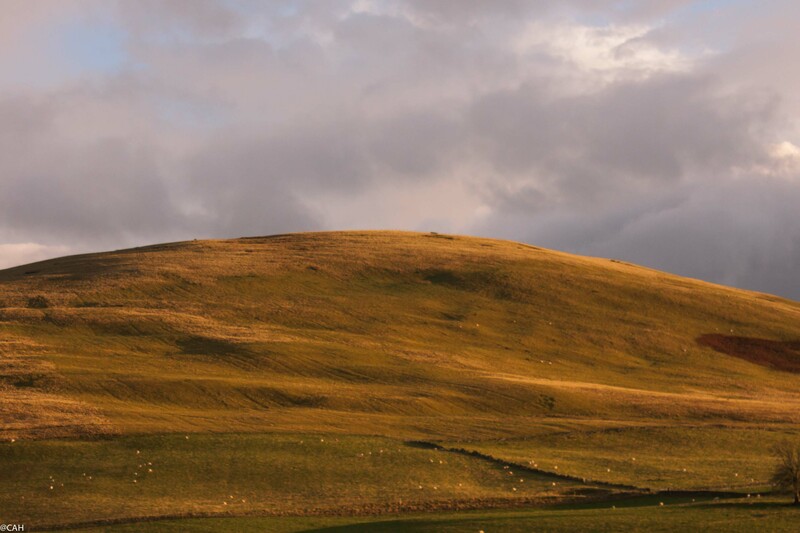 Over the border, the rain had gone, some blue sky and the late afternoon sun in the golden hour beloved of photographers made the hills glow. We had an appointment in Edinburgh early evening so could not wander around with the camera much at all. 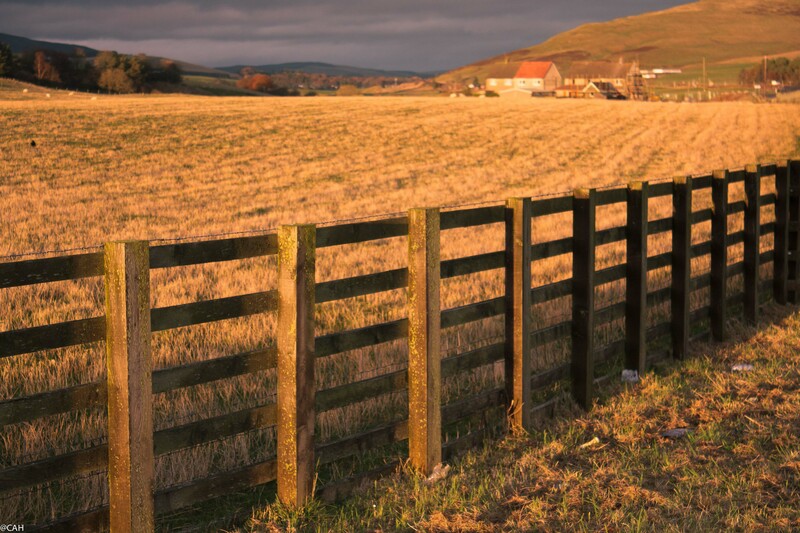 Here are a couple of shots in the Clyde Valley. Just before West Linton, a huge skein of geese flew over and the clouds were pink. No time to stop for photographs unfortunately.